A sprint-out pass play requires the QB to do exactly that: SPRINT OUT! should not look at the defense or his receivers until he turns upfield at that point. adjust and pursue, which reduces, if not eliminates, the QB’s threat to run the ball. That’s what makes the sprint-out so dangerous: the QB’s threat to run the ball. It’s what puts the perimeter defender’s in conflict: do we lay off and cover the pass or do we attack and contain the run? When the QB reaches that magical turning point, he MUST turn and ATTACK the line of scrimmage (LOS). Too often what you’ll see, though, is a QB running toward the sideline instead of toward the LOS. That is not a sprint out. It’s not even a roll out. 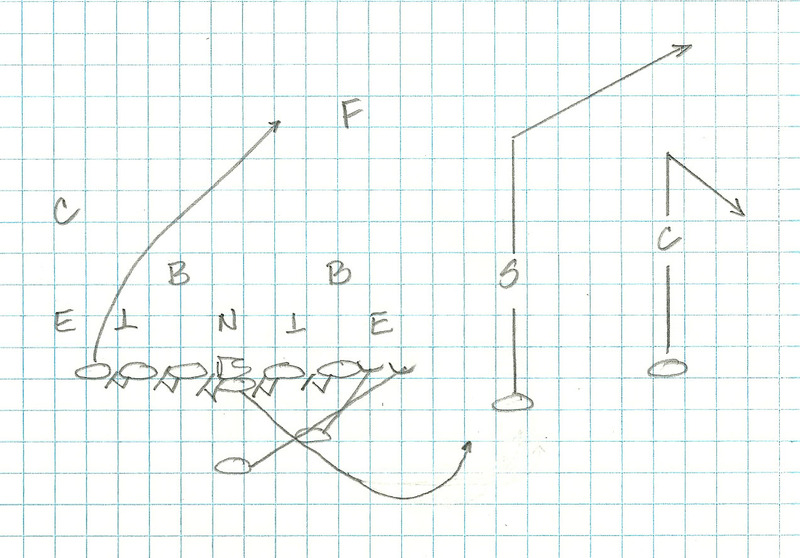 In this case, the QB is doing the defense’s job for them: he’s “stringing the play out” toward the sideline. When run properly, the QB should be running TOWARD his receivers and not the sideline. So how do you get your QB from under Center to that turning point where he’s attacking the LOS? We have found two methods. 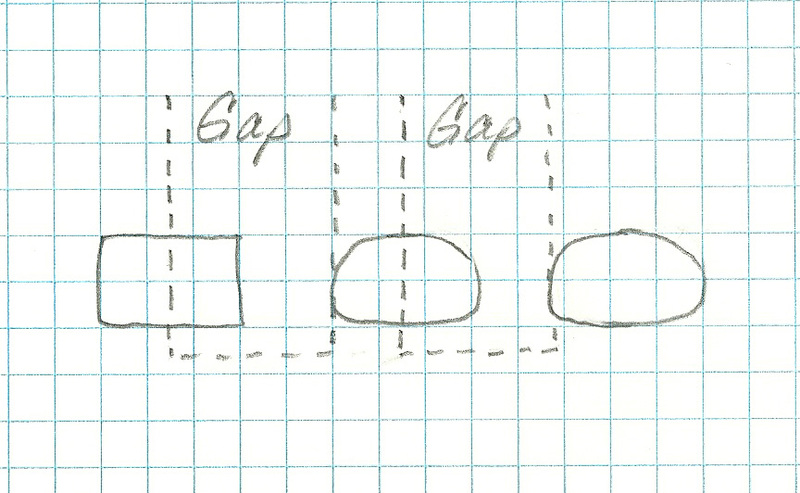 One is the traditional sprint-out technique and the other involves faking a 3-step drop. It’s about speed and leverage. Speed to the perimeter and leverage at the edge. To get there faster — “there” being the outside — many coaches will run their sprint-out to the weakside since that represents the shortest distance to the perimeter. It’s how we run it and it’s the scheme we most often saw used in our research. But how you “set the edge” as coaches say — meaning how you leverage the contain defender — will determine if you even get into the perimeter. At our level the edge is generally occupied by a DE in a wide technique. He’s purposely set outside to prevent the perimeter from being exploited. Sealing him off presents a few challenges, especially if he’s taught to widen when attacked. 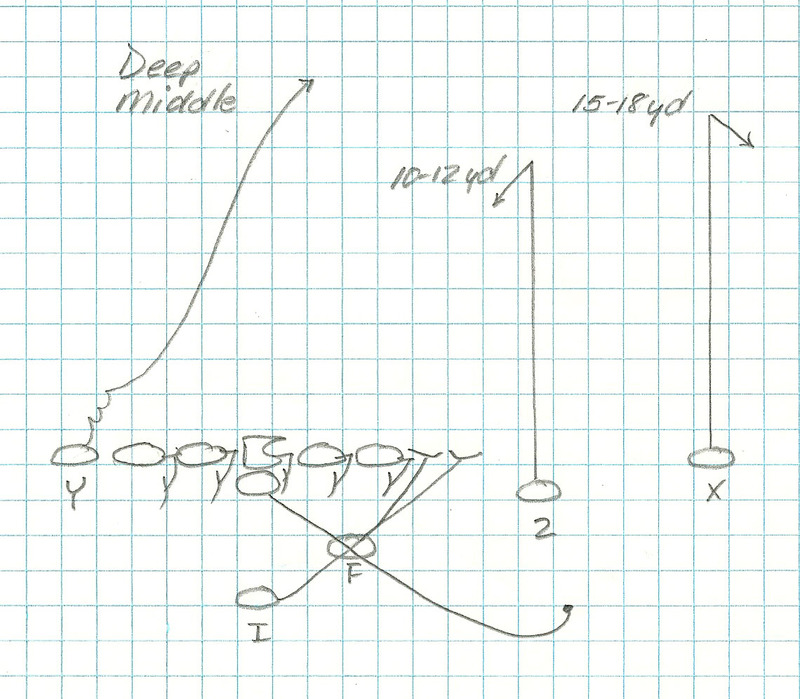 If you’re using a Full Zone scheme, you’re basically reaching and sliding on the first step and, if no contact is made, hinging on the second. 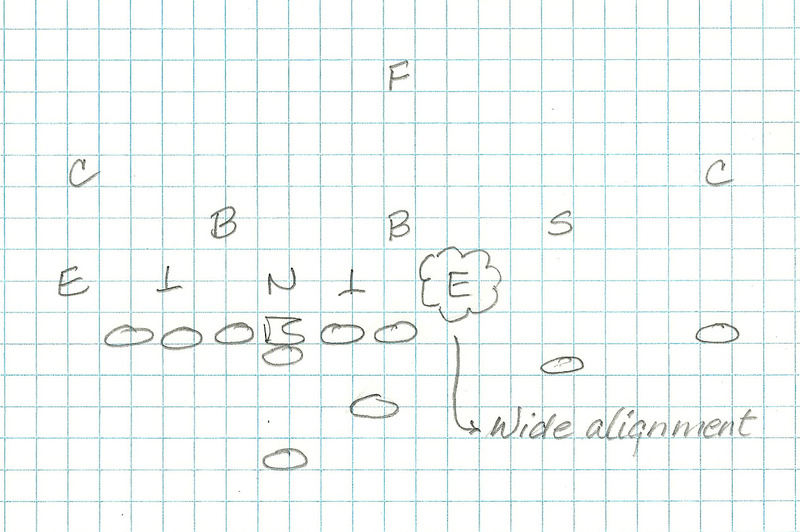 But if the DE is still beyond the PST’s reach attempt then many coaches will teach him to get on the DE’s inside hip/number and bench him towards the sideline.